It is always nice to see a toddler wearing a lovely pair of shoes especially if it looks perfect with her get up. There are indeed so many nice shoes out there but it isn’t just the look of these shoes that matters. There are still other considerations that one needs to make in order get the right pair of shoes. When we talk about toddlers, you have to make sure that you pick the right type that will be comfortable to wear aside from just being fashionable. 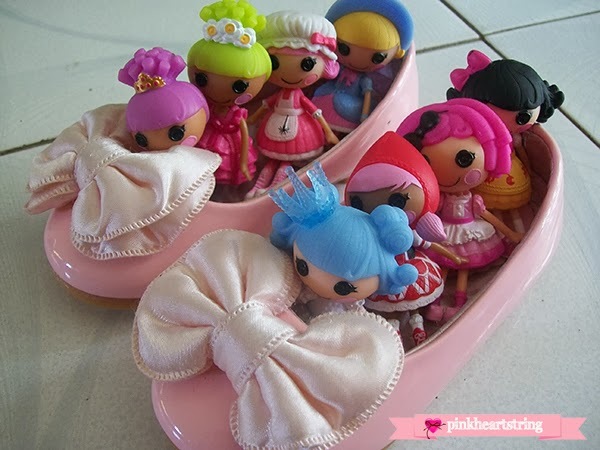 Everytime I see a beautiful shoe for Bella, I’d grab it only if it gets all the check marks for my check list. So, I’d like to share with you that checklist so you can use it in buying shoes for your toddlers too. This is necessary to make sure that our little ladies will feel comfortable in walking and running. And yes, don’t forget to give them that dashing look all the time! 1. Fitting. This is important of course because feet with tight shoes are no good at all. It is best that you bring your toddler with you when buying so that they could fit it. Let your child fit the shoe. Make sure that there is enough room to still wiggle their toes inside but not too much space. It doesn’t mean that you can get a bigger shoe. Bigger shoes could cause your child to tip and could develop foot problem. Just see to it that there is a breathing space for the feet inside. There should be a space of about half an inch between your child’s toes and the shoe’s toes. 2. Flexibility. You can check this by bending the shoes. Your child couldn’t walk and move well if their shoes are too hard or too firm. It will just hurt their feet. 3. Materials. Shoes are made of different materials. It is better to get the shoes made from soft leather or cloth. These are lightweight, breathable and feel good for your child’s feet. It gives them a cooler and dryer feeling to do away with smelly shoes and even blisters. Avoid stiff and heavy materials because this could affect the feet’s development. 5. Not slippery soles. See to it that the shoes are not slippery by checking the soles. It has to be textured and patterned. Aside from that, it should be sturdy and thick enough to protect your kid’s feet while walking. 6. Laces vs. Velcro. It is easier for the kids to wear shoes with Velcro but it is also easier for them to remove it. When you decide to get a shoe with laces, make sure that the laces are long enough to make a double knot to secure the shoes. 7. Price. You do not need to spend a lot for your toddler’s shoes because they grow fast. So, check the price if it doesn’t go beyond your budget. 8.Style. Of course this has to be considered. You wouldn’t buy an ugly shoe for your little ones! So, that is my checklist in choosing and buying shoes. You should also make sure that you buy shoes at the right time of the day. Don’t buy shoes in the morning because the feet tend to swell and are bigger in the afternoon or in the evening. So, buy a pair late in the afternoon or in the evening. Also, let your kiddo choose the shoes. This will make them feel happy once they get the shoe they really like. great tips! I could never get my 2 year old to wear shoes..he had these "McQueen" shaped slippers (from the movie "CARS") that he would wear only! i focus on price, style and material :) his favorites are of course his spiderman slippers but he can wear them in the snow!